Before you start to build a gaming PC, you’re going to need parts based on how powerful of a system you want and your spending budget. It’s a great feeling to have a computer that is specially built to fulfill your gaming needs. Building a custom gaming PC with parts you selected is the best way to go. And to top it off a great gaming PC doesn’t need to cost a ton of money nor do you need to have a computer degree to make it happen. What are the benefits of building your gaming PC? Building your gaming PC is less expensive compared to similar pre-assembled systems. Also, when you put together your gaming system, you will have a custom PC tailored for your games. You will get to pick a motherboard of your choice which makes it easy when it comes time to upgrade parts. 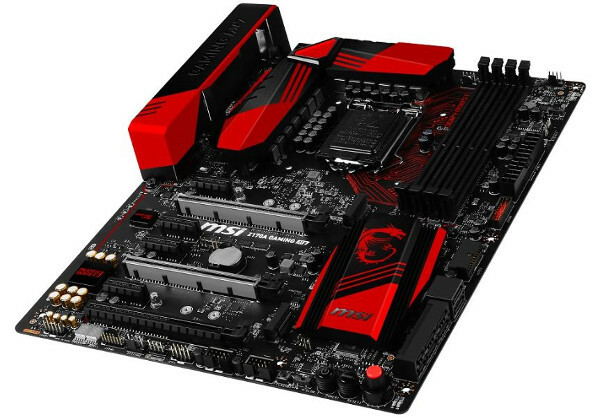 Selecting your motherboard gives you total control over your gaming PC. Another factor is deciding what components will be used to populate the board and the quality of those components which will meet your desired specifications. A gaming PC allows you to customize the layout of your case for optimal airflow. 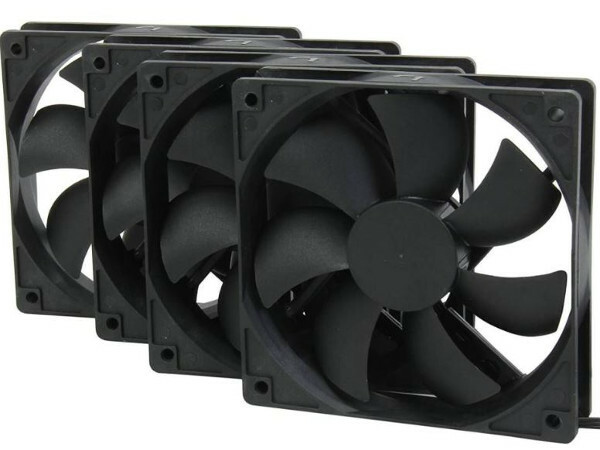 Adding cooling features such as liquid cooling and additional fans promote good airflow. Additionally, you get to have a gaming PC that’s free from useless software called “bloatware.” Keeping bloatware out of the system will save memory and excessive hard disk usage which makes for a better running machine in the long run. Finally, a successful gaming PC build is something you can be proud of and enjoy for many years. Below you will find a list of the main components you will need to build a gaming PC. The central processing unit (CPU), also referred to as “processor,” is the brains of your gaming PC. It manages and performs a list of commands sent by a program (software). The CPU completes each “command” and sends the instructions to other hardware throughout the PC system to direct each component of when they need to execute a task. How quickly it can accomplish this is dependent upon processor speed. Core count and clock speed are two primary performance metrics associated with CPUs. Core count refers to how many processors the CPU has or rather how many tasks the processor can accomplish at the same time. Clock speed refers to how rapidly the CPU is performing each task. Some higher-end processors feature hyper-threading. Hyper-threading allows each core to run many threads and offers better performance on threaded supported software. AMD and Intel are the two dominant CPU manufacturers. The first choice that you will have to make is which platform to use for your gaming PC. Thankfully there is enough data on the web to help you make this critical decision. Research your favorite game forums and find out which CPU is producing the best performance for your budget. Intel Core i3 or AMD Ryzen 3 is suitable for low end and some mid-range gaming PCs. Intel Core i5 or AMD Ryzen 5 is suitable for upper mid-range and high-end gaming PCs. If you’re planning on running multiple high-end GPUs, then Intel Core i7 or AMD Ryzen 7 will be your best bet. Ultimately, the processor you choose to go with will determine whether you will buy an AMD or Intel motherboard. The main circuit board (aka motherboard) acts as the central nervous system of the gaming PC. It allows all the connected components to communicate with one another and carry out the commands of the CPU. Circuit boards come in different sizes. The most common form factors for gaming computer are ATX, Micro-ATX, and Mini-ITX. Your CPU selection will determine the socket type of the motherboard. In addition, the motherboard will also dictate the chipset, the form factor of the case, number of PCI Express x16 slots, memory technology used (DDR 4, DDR3, etc.) number of memory modules, storage form factor (2.5-inch SATA, mSATA, or M.2) and storage interface (SATA or PCIe). In my opinion, the Micro-ATX is a good option to begin your first gaming PC build. Random Access Memory (RAM) is where data (instructions), from programs, is temporarily stored that the CPU needs to access quickly and uses in all its computer operations. RAM technology is substantially faster than any form of storage presently available. The disadvantage is that memory modules need to be powered continuously to store data. If you experience loss of power, then all data is lost. A key point to remember when shopping for RAM is to find out what your processor and motherboard can support. The motherboard’s vendors website will have this information. The Qualified Vendor List (QVL) will list compatible memory modules for your board.. In my opinion, 8GB of RAM should be the minimum for your gaming PC. If you can afford it, go with 2x8GB sticks for a total of 16GBs. Not having enough memory can impact gaming performance. The manual will list the minimum and maximum RAM operating frequency. 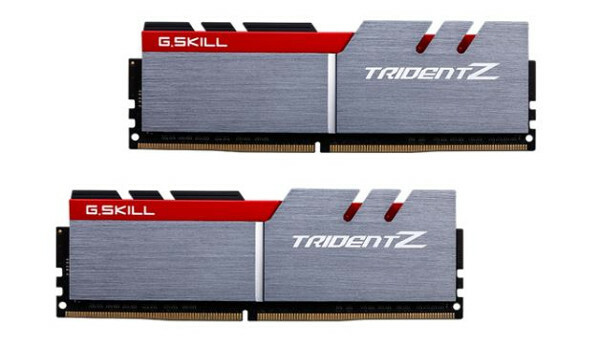 Generally, this ranges between 2133MHz to 3200MHz for DDR4. 2000000 between 2133MHz to 3200MHz for DDR4. Faster and more expensive RAM modules can go as high as 4600MHz. The framerate gains from higher frequency RAM will be negligible. Look for memory that supports Intel® Extreme Memory Profile (Intel® XMP). XMP makes it easy to overclock RAM modules which run at lower than advertised speeds with predefined and tested profiles. With the right memory, your gaming PC will run efficiently and give you smooth frame rates without lagging. The Graphics Processing Unit (GPU, also known as the graphics card or video card) is perhaps the most significant piece of hardware in a gaming PC. Its primary function is to process and render game-graphics images to your computer monitor. 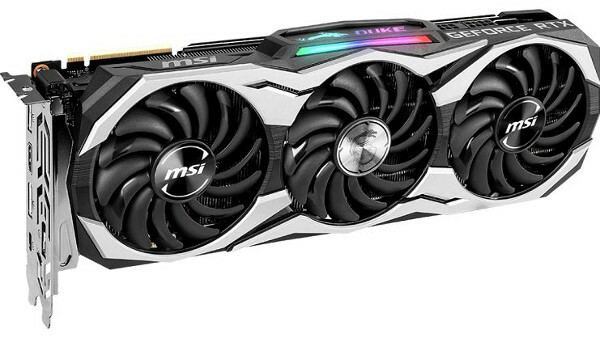 A GPU is a must-have for any gamer wanting to play today’s demanding, graphics-heavy games. A key point to remember is to select a graphics card that can consistently produce frame rates of, at a minimum, 60 frames per second (FPS) at your chosen monitor resolution. 60 FPS is the target goal for most gaming PCs. Additionally, you’ll also want to keep an eye on GPUs that have dedicated memory or Video RAM (VRAM). The more VRAM the card has, the better the performance. A tip from Intel: The graphics processing unit is not the only component that impacts framerates. So it is imperative to balance your gaming PC build, or you’ll run into performance bottlenecks somewhere else. Presently two vendors produce GPUs, Nvidia and AMD. While Nvidia and AMD are responsible for providing the GPUs, it is mostly other companies that make the actual graphics cards. Both vendors have their hardware rebranded and sold through companies like Asus, MSI, EVGA, Gigabyte, Zotac, and Sapphire. For GPU performance and rankings, check out Toms hardware. Do some research on game forums and find out which graphics cards work best for your gaming PC setup. Another site that may be of help is the video card benchmark. There are two main types of storage drive technology used by gamers: Hard Disk Drives (HDD) and Solid-State Drives (SSD). All your files, games, and the operating system reside in the storage drive. In the past, the Hard Disk Drive was the only storage form available, and it’s still the most popular means of storage today. It’s popular in part due to affordability and high capacity. The standard drive is 1TB and offers the best value per dollar for those who have an extremely tight budget. Hard drive size for gaming computers will be 3.5 inches and have a rotational speed of 7,200 RPM. The 7,200-rpm drive will offer better performance over the slower 5,400-rpm drive. 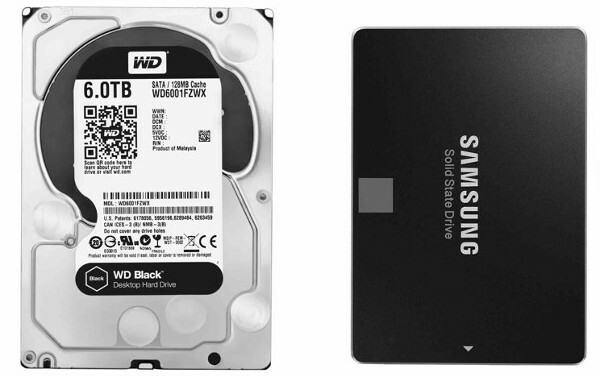 Popular Hard Drive manufacturers are Western Digital, Seagate, Hitachi, and Toshiba. In comparison, Solid State Drives offers exceptional performance, quicker boot and load times, and are much faster than traditional HDDs. The downside, currently, is they cost more money per gigabyte. The good news is that prices are steadily dropping year over year. The newer SSD protocol is NVMe, which stands for Non-Volatile Memory Express. This protocol uses the PCI Express* interface to achieve superior performance, but it is costly per gigabyte. The best gaming PC setup in my view is to have a 500GB SSD for the boot drive, which contains the O.S. and games, and 1TB WD Black for data storage. This solution offers the best of both technologies and is an affordable choice as well. SSD manufacturers are Samsung, SanDisk, Crucial, and Kingston to name a few. If you are seeking the best performance for your gaming PC, and if budget allows, choose a Solid-State Drive for all your storage needs. To bring life to your gaming PC, you are going to need a hardware component that reliably delivers power to all your computer’s internal components, and that means buying a power supply unit (PSU). A power supply needs to be powerful enough to deal with all current and future system hardware. A high-powered performance gaming PC will need a robust power supply to make it run efficiently. Don’t go the cheap route with this critical PC component because a low-quality power supply can cause instability or worst severe damage to your system. 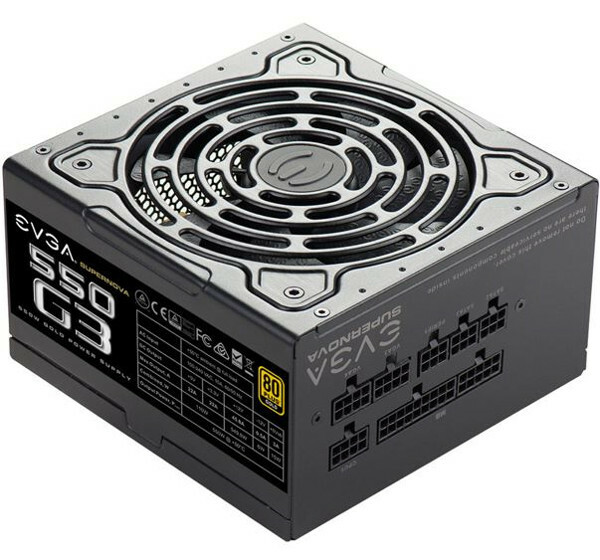 Here are six things to keep in mind when selecting a PSU. Several online power supply calculators will let you enter your system specs and give you an estimate of the load wattage needed for your computer build. Go here: https://outervision.com/power-supply-calculator. You should be safe in choosing a PSU at least 150-200 Watts higher than your total load wattage. For example, my PC load wattage is 374 watts (round up to 400). Adding 150-200 gives me a range of 550-600W. Since I will be upgrading in the future and want to maintain a safe margin, I decided to go with 650W. Top names offering power supplies include Corsair, EVGA, Cooler Master, SilverStone, and Antec to name a few. Power supply failure can occur when you least expect it. Check the warranty term before you buy. Current warranty terms are 3,5,7, and a 10-year term. The choices are Non-modular, Semi-modular or Full-modular. Full-Modular PSUs make cable management easier and help with air flow. Another advantage of modular systems is it reduces clutter, which will make your gaming PC look neater and better organized. Verify the correct power connectors for the CPU (4,6 or 8 pin) and graphics card. Make sure the PSU has sufficient connectors for the rest of your gaming PC components. The 80 Plus standard is the minimum efficiency rating for a power supply. Heat loss accounts for 20%. Other classifications include Bronze, Silver, Gold, Platinum, and Titanium. What you need to know is that each one of those is more efficient than the previous level. You can have a lower energy cost by using a power supply with a higher classification. 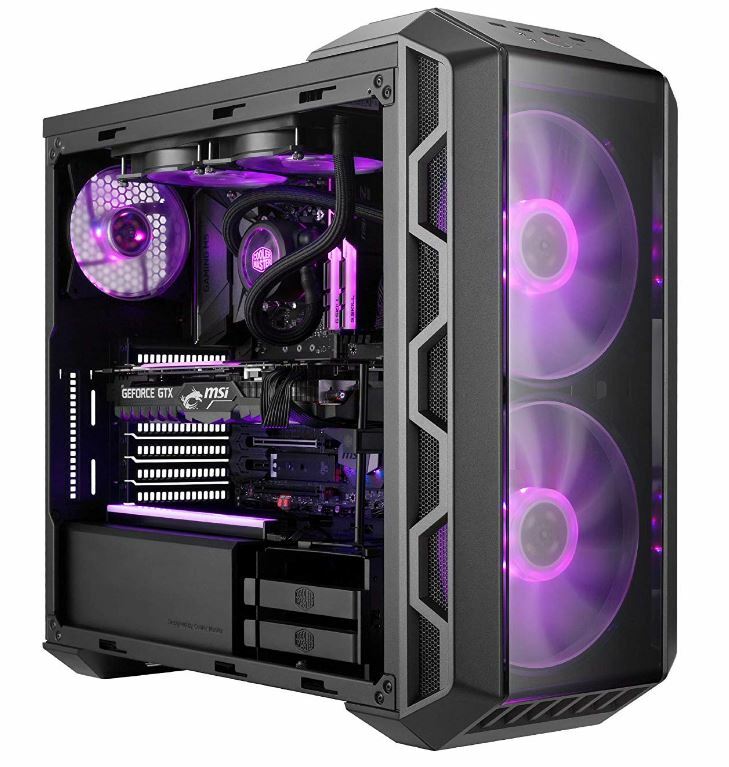 Now comes the moment for you to decide which case will house all your gaming PC hardware. The case form factor has already been decided, in part, by the form factor of the motherboard. Of course, you can always purchase a case with more room. But in the end, your budget will determine that. Mini Tower; designed for Mini ITX motherboards. Micro Tower; designed for Micro ATX motherboards. Mid Tower; designed for ATX motherboards. Full Tower; designed for EATX motherboards. 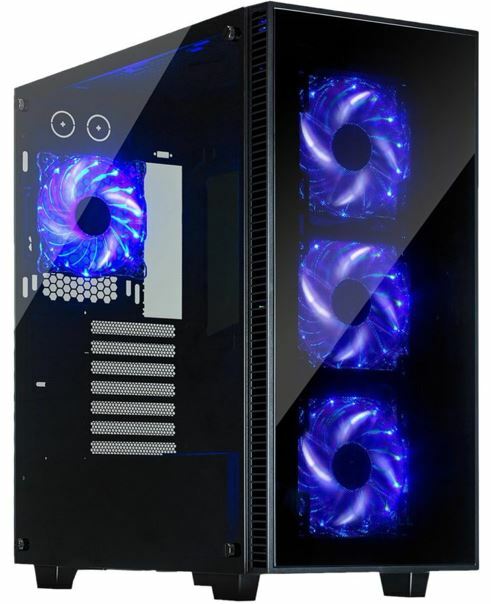 For most gamers, the mid-tower case will fit the bill since it can hold a standard ATX motherboard, or Micro ATX, with plenty of room for a full-length graphics card. Besides the motherboard, you also need to make sure the graphics card will fit in the case. 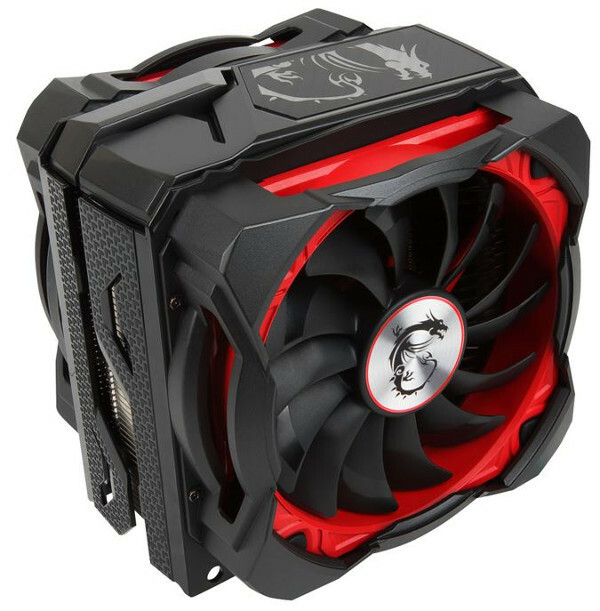 Case manufacturers will list the maximum GPU dimensions the case can accommodate. Choose a PC case that’s large enough for any expansions down the road and can handle multiple upgrades in the future. Look for a gaming case with preinstalled cooling fans. The minimum setup would be two 120/140mm fans in the front and one 120/140mm exhaust fan in the rear. If you’re going to use a 240/280mm All in One liquid cooling system, make sure the case can support it. A tool-free design will make it easier when opening the case without having to grab a screwdriver. Lastly, check online reviews. You can pick up additional information that may be relevant to your case. Why do we need to keep our gaming systems cool? The answer is to prevent components from overheating which will shorten their lifespan. A gaming PC generates lots of heat, and it’s the number one enemy of computer hardware. You need to have a plan to keep the inside of your gaming PC cool. Power supplies and graphics card have their built-in cooling system to keep them running cool. Case mounted fans (front, rear, and top) provide extra cooling and improve the airflow inside the case. This airflow helps to move hot air away from computer hardware and vents it outside. The best setup for a gaming PC case mounted fans, in my view, is two front 120/140mm fans intake, one 120/140mm rear exhaust, and one 120/140mm top exhaust. The processor gives off lots of heat, and a top of the line CPU cooler is necessary. In my opinion stock coolers are not adequate to keep the CPU cool enough for prolonged gaming sessions. For this reason, I recommend buying an aftermarket cooler. Noctua NH-D15, Master Air Maker 8 by Coolermaster, Phanteks PH-TC14PE, and Arctic Freezer 33 eSports are just a few air coolers you can research. Check dimensions to make sure the air cooler you select is sized to fit inside the case and is compatible with your processor. 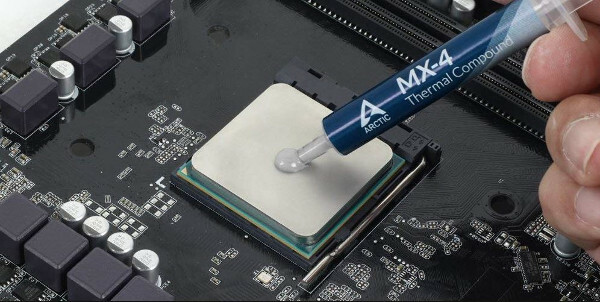 High-quality thermal paste is an essential component that is vital for proper heat transfer between the processor and heatsink. Not having enough thermal paste on the CPU die is more harmful than having too much. Of course, excessive thermal paste application is a waste of money and looks sloppy. Finally, there is another option available for keeping the processor cool. It is liquid cooling. 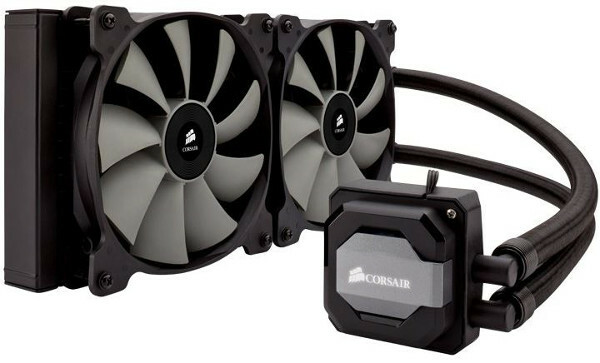 A closed-loop liquid cooler, also known as All in One, is necessary for those gamers who wish to overclock their system. Whether you choose air or a liquid cooling option, may depend on your budget and experience. Optical Drives, aka CD/DVD ROM Drives, may not be needed for a dedicated gaming PC since many software games today can be downloaded from the internet. 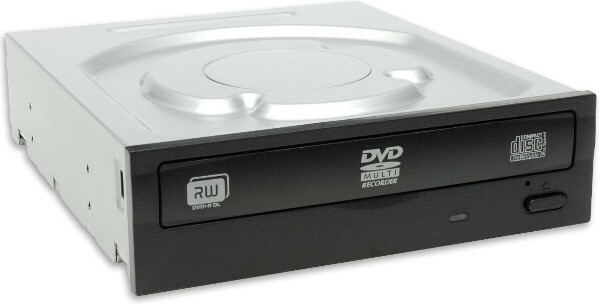 If you have game titles on CD/DVDs or planning to play Blue-ray movies, then you can get an internal or external optical drive. Companies like LG and Samsung offer optical drives that are reasonably priced. Any computer device that connects to your gaming PC through an input/output interface is considered a peripheral. A peripheral would include the display monitor, keyboard, mouse, microphone, speakers, etc. The monitor, mouse, and keyboard are necessary to finish setting up your system. Pay particular attention when choosing a gaming monitor. Not all are created equal. Get to know the specs of your graphics card as this will help you in purchasing the right display monitor. 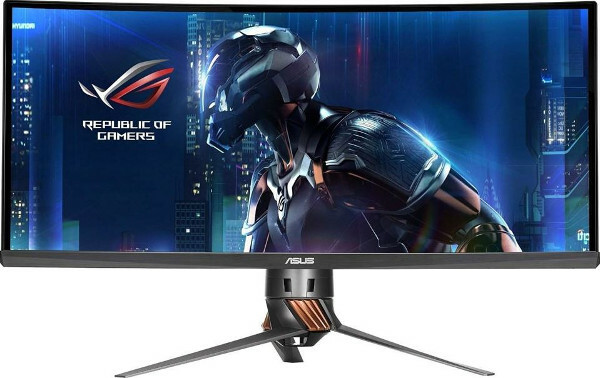 Gaming monitors generally range between 21-27 inches in size and are a perfect fit for desktop use. A larger sized monitor would require your viewing distance to be further away. The maximum amount of individual pixels a monitor can display will determine resolution. The more pixels a monitor can display the cleaner and sharper the image will be. 1920×1080 (1080p): The is one of the most popular resolution today, also known as Full High Definition, looks great on display monitors up to 24 inches diagonal. 2560×1440 (1440p): A Wide Quad HD display monitor, also known as 2k, is a big step up from 1080p. Looks great on a gaming monitor and you can expect image quality to be far greater than Full HD. To achieve reasonable frame rates with this resolution, near to or over 60, you will need a powerful GPU. 4096×2160 (2160): Ultra HD, also known as 4K, has become very popular with TVs but no so much with gaming monitors. Gaming enthusiast who does not have budget restraints and has a powerful gaming rig will get to enjoy exceptional image quality. A monitors refresh rate is the number of frames it can display each second, measured in Hertz (Hz). The faster this occurs, the smoother the image will look. Most display monitors have a refresh rate of 60Hz while the latest gaming monitors can support higher refresh rates of 144Hz and 240Hz. Response time is the amount of time it takes for a pixel to change from one color to another, and measured in milliseconds (ms). Based on the type of panel used typical monitor response times are either 1ms-4ms. Twisted-nematic (TN) or in-plane switching (IPS) are two types of panels used by gaming monitors. TN monitors produce super-fast response times but at the expense of color accuracy and viewing angles. IPS panels, on the other hand, deliver vivid colors and wider viewing angles. Response times for IPS monitors do not go any lower than 4ms. If you’re gaming for pleasure, then an IPS monitor will be your pick. The latest gaming monitors will have either HDMI or DisplayPort for video and audio input. The newest generation of graphics card will have a similar video output. 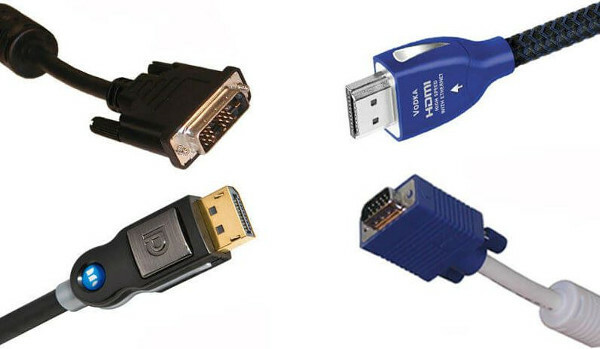 Video cards with DVI and VGA connectors are outdated technology, and therefore should not be considered for your new gaming PC build. Buying parts to build a gaming PC can be just as exciting as the actual build itself. Also, you will learn a great deal about the components that make your gaming PC work. The thrill of seeing your computer boot up for the first time is very satisfying. In conclusion, start with a plan and a budget. Do research and find out what is the best setup for your type of gaming. Check out the following video on how to bring your gaming PC together. Contact us at 863-582-2596 or click below to get in touch for gaming PC build service.